What do you mean by high quality WordPress themes? Themes which look attractive and offer a large number of features or something else. The correct answer is, these are templates which hold WooCommerce compatibility, supports multiple plugins, accept all types of customizations, are affordable with attractive design and a lot more. These are only a few qualities which are already available in themes discussed below. But there are many more hidden and premium features which you will find in these high quality WordPress themes like lead capture form, animation effects, plugins and more. Harrington is a high quality WordPress theme which holds plenty of features and services. You can apply custom CSS, add slider image, blogs, display taglines, and show services in the featured area. This theme is fully compatible with WooCommerce and supports all latest browsers. You also get quick customer support, video and document tutorials along with frequent updates. Harrington WordPress Theme is priced $59 and it includes services like lifetime support, regular updates, multiple purpose usage, etc. You can also buy premium themes membership by InkThemes which will cost $147 one-time and later $15 each month. With this membership, you get 49 themes and a new product every month. The themes+plugins membership is priced $247 which is payable only once, then $15 will be charged for each month. This plan gives you access to 49 themes & 10 plugins. Three custom-made demos with eye-catchy media and text content. Allows adding logo image, navigation menu in the top header section. Boxed slider with animated images effects, text description and read more button. Exclusive gallery section to display high-quality images. 4-column footer to project different widgets in an attractive way. With elite pro WordPress theme you can include ads in the banner area, attach images with description in the slider, display blogs with details, embed videos and images, define custom styling and do more. Plus it also allows you to add social share icons, recent posts and comes with an inbuilt contact form. The price on this premium theme is $59 with which you get developers license, free installation, demo content and various advanced features which are listed below. Special ad banner space to showcase advertisements to attract customers attention. 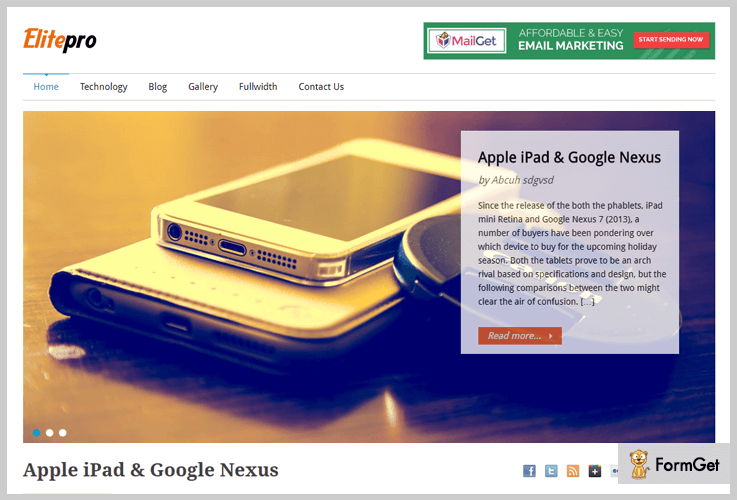 The 2-column homepage blog layout will help you display blogs and posts. Powerful theme options panel to apply various customizations. Fully response which makes your website look great on different devices. Dedicated footer and sidebar area to display widgets like the gallery, category, video, and more. 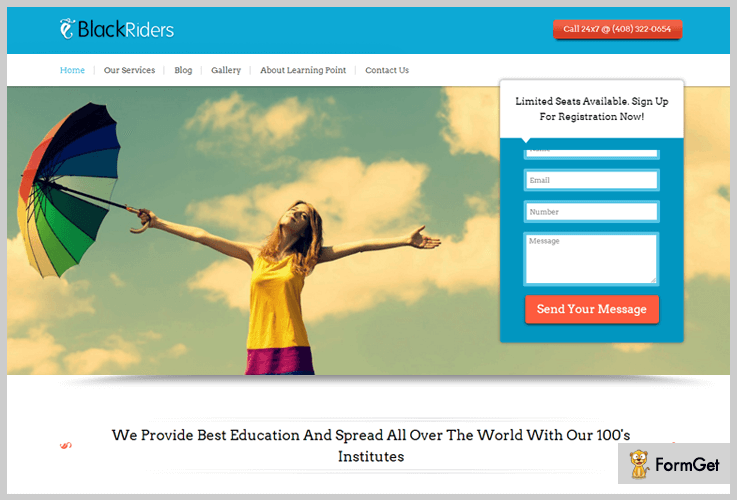 BlackRiders is one of the best theme which comes with a built-in lead generation form that allows you collect customer leads directly from your website. This theme is easy to install, supports multiple plugins, and allows you to manage all types of customer details from the WordPress dashboard. You can also add the contact number and any mobile user can make voice contact through your website. You can buy this high quality WordPress theme at a price of $59. BlackRiders theme gives you access to developers license, technical support and it is best for multi-purpose usage as well. Lead generation form to manage and collect customer leads. Pre-designed templates on 3 different niches which are customizable. Separate blog section and widgetized area on the homepage. Allows embedding custom CSS to apply custom modifications. Featured area with hover effects to project business services. This is a multiple purpose WordPress theme which holds features like boxed layout, lead capture form, service section, widgetized footer space, tap to call button, etc. Using local business WordPress theme you can design a custom website with ease as it offers 5 custom crafted templates along with media and text content. This WordPress theme charges $97 for lifelong updates, 24/7 support, Bootstrap framework, and you also get 30-days return guarantee with it. Built-in lead capture form to collect custom details from the website. Attach tap-to-call button along with logo image, menu, etc in the header section. 100% responsive boxed layout which is easy to navigate. Allows you to embed videos, images and also define business locations via Google maps. Manage, store and edit all collect lead details in the WordPress dashboard. What do you expect from a free WordPress theme. 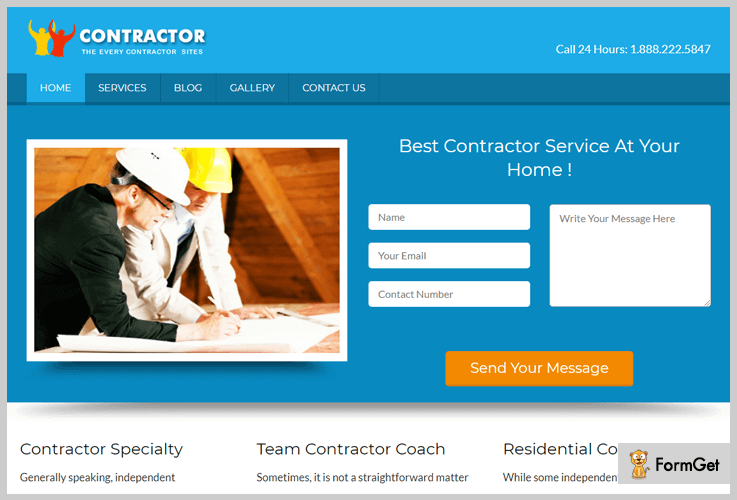 Things like custom colors, featured area to display services, responsive layout, widgetized footer & sidebar. And Gommero WordPress theme has got it all, plus customization becomes a few click job as the options panel provided is extremely simple and allows you to apply custom styling. 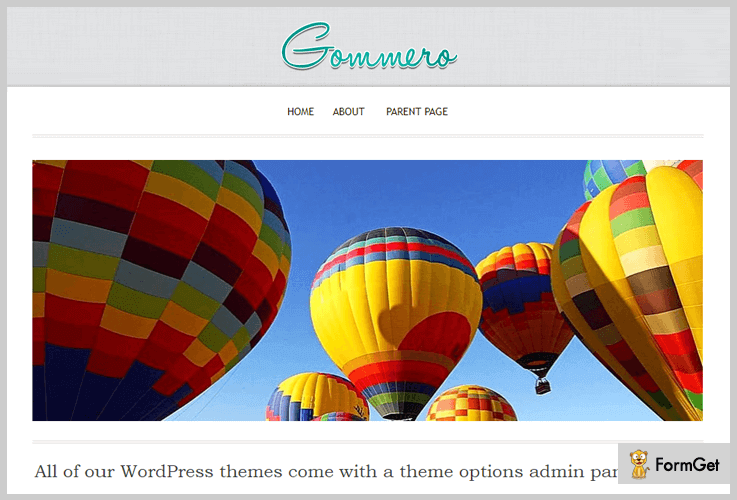 Gommero is a free of charge WordPress theme which offers boxed layout, easy to manage and customizable theme. You can create professional as well as a personal website using this theme. You get multiple theme edit options for customizations. Translation ready which means you get multilingual support. You can define different text styles, backgrounds, attach logo images and more. This theme is highly optimized for SEO and helps you rank high on search engines. It also support RTL language format. 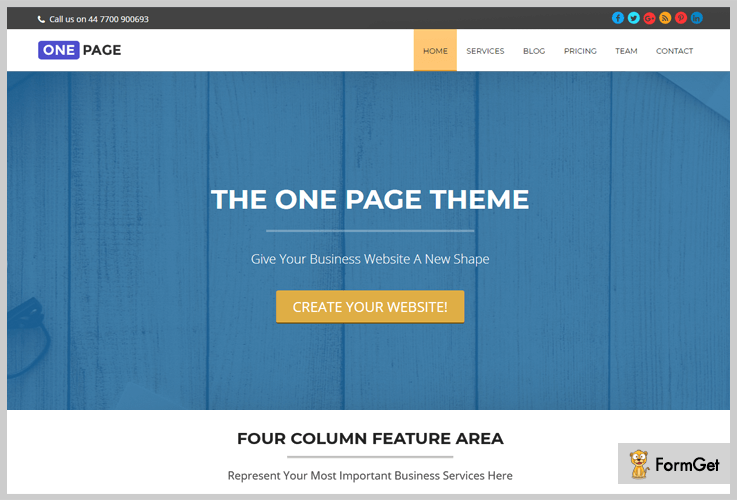 One page theme helps you display images, blog posts, widget areas, sliders and more all on the same web page. This is a responsive theme which is easy to customize and you can apply different stylings through the options panel. This theme is translation ready and easily converts the language of the content shown on the website. This is entirely free of cost theme which comes loaded with various features that will help you build a responsive website. Single page WordPress theme which allows you to show all details on the same page. 100% responsive layout which easily gets adapted to different screen sizes. Allows you to accept threaded comments. Provides custom color, header and menu options for customizations. Sidebar area to attach search bar, categories, blogs and other widgets. I expect that after going through this blog once, you must have got the right theme for your business which delivers high quality features and services. As all the themes discussed in this blog are loaded with features and we have explained both free and paid themes for your convenience. Still, if you have any questions or queries, you can ask us through comments below.